Successful pig fattening begins with the adjustment phase of the piglets. A successful start into what is known as the pre-fattening phase promises the best chances at maximum fattening success with the highest daily weight gains and correspondingly good meat quality. 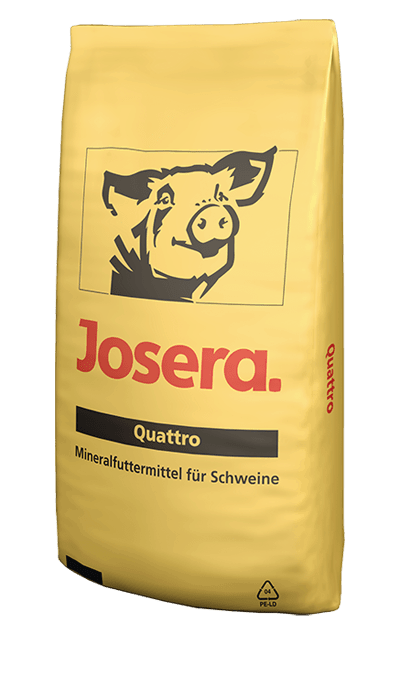 Therefore JOSERA lays the foundation even in this early phase with its product VormastTop. With a gentle transition to the main fattening phase, feed consumption and utilisation remain at a consistently good level and digestive problems are minimised. 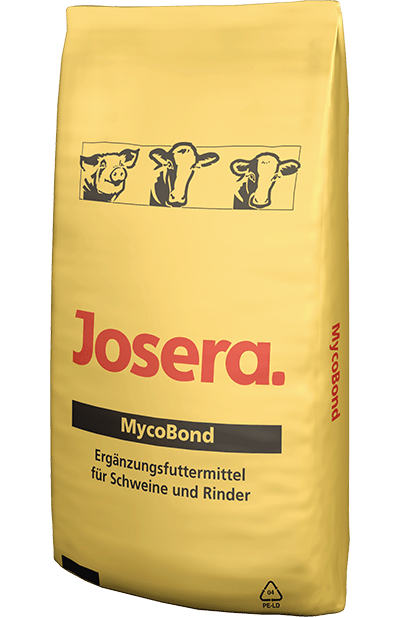 For the main and final fattening phase, JOSERA offers various concepts for different demands and feeding situations. Here the premium products with the Protectin active ingredient package assume a leading role for the highest daily weight gains and outstanding meat quality. They supply your animals with all important components for healthy and consistent development. 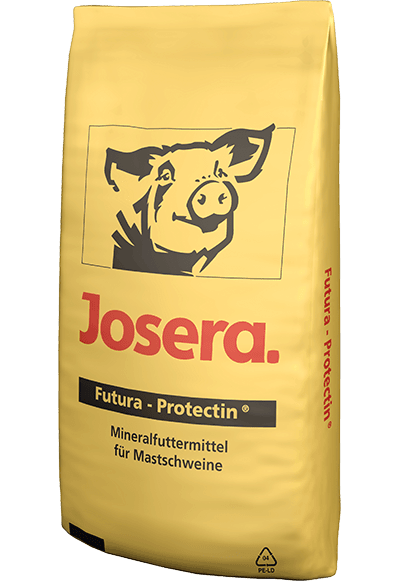 JOSERA Futura Protectin® is the key to the highest daily weight gains, fast muscle growth and ultimate animal performance. 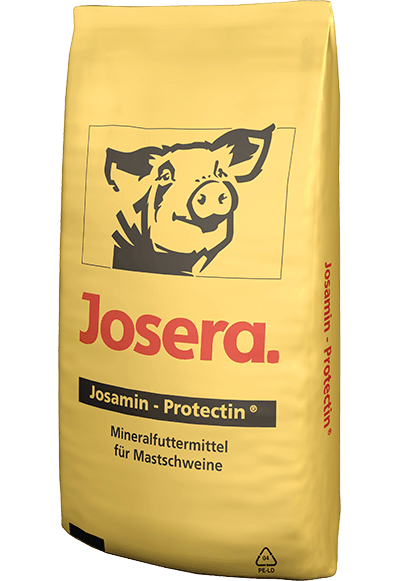 JOSERA Josamin Protectin® is the ideal fattening mineral feed for maximum muscle growth and fast weight gains. JOSERA Matura is the number one choice for good performance with fast weight gains and rapid muscle growth. 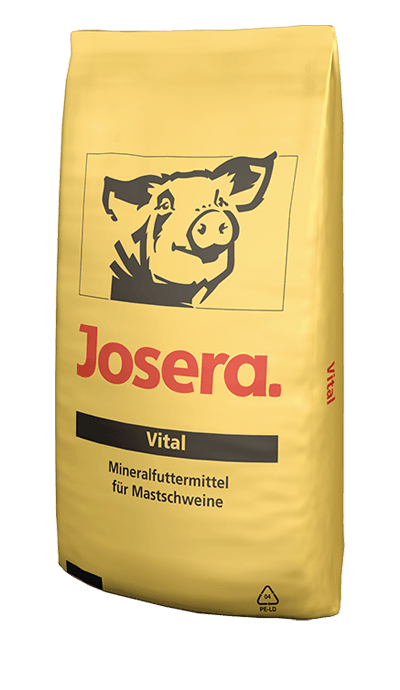 JOSERA Vital is the ideal fattening mineral feed for fast muscle growth thanks to its highly available minerals. 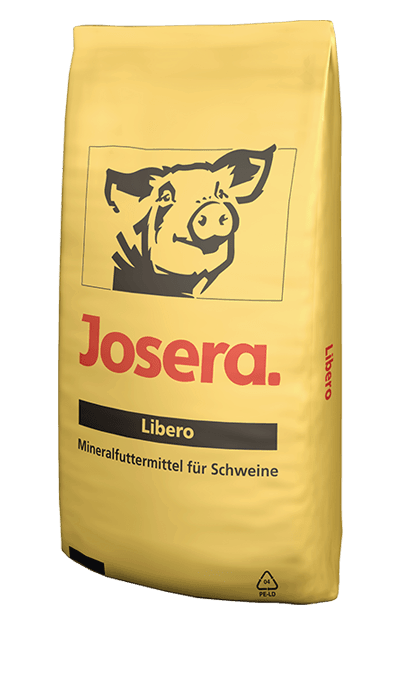 Thanks to its high quality minerals, JOSERA Libero is the ideal mineral feed for ecological pig production.